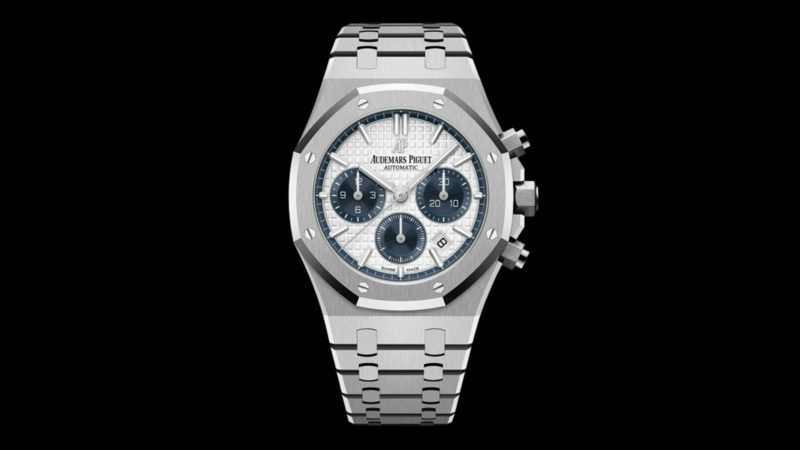 Crowd-pleasing iterations of the Royal Oak Chronograph, in a much more wearable 38mm size. 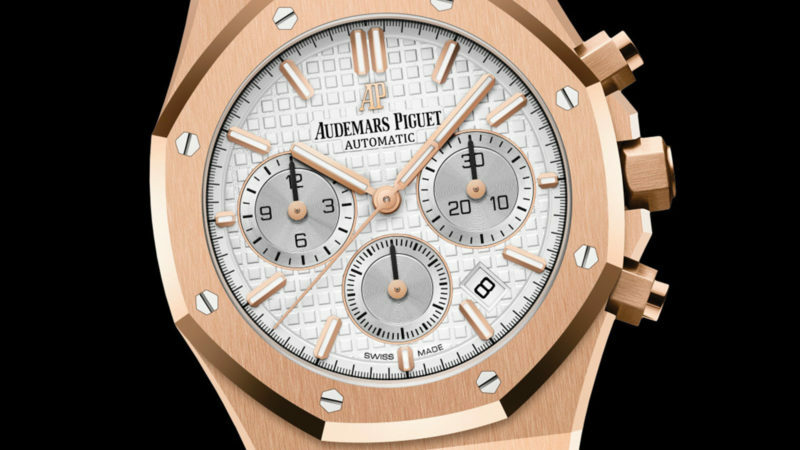 At SIHH this year, AP shocked everyone with its CODE 11.59 collection (good or bad, you decide), but as if to say “Hey, we’re still the same AP that you love. 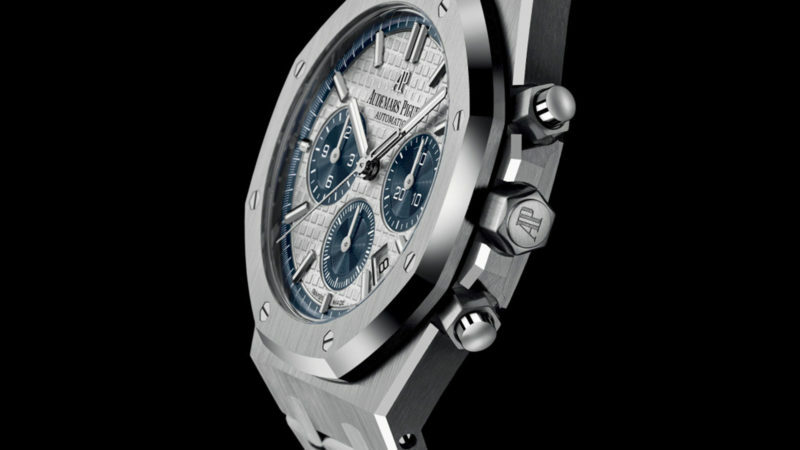 Don’t leave us,” AP comes out with a 38mm version of the Royal Oak Chronograph. Until now, you could only get the chronograph version in 41mm or the discontinued 39mm. 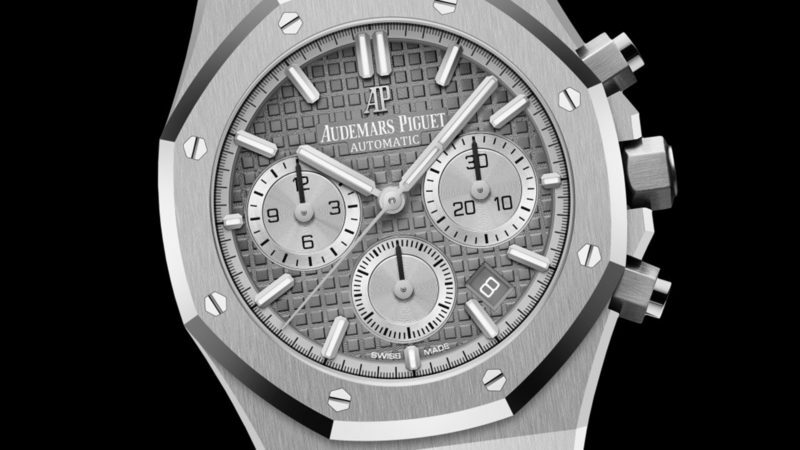 A hair larger than the standard time-only Royal Oak (37mm), this one is definitely a crowd-pleaser. Everything else is just as you would expect from the beloved Royal Oak: the iconic octagonal bezel, the trademark “tapisserie” pattern dial, and the integrated bracelet. It’s powered by the automatic Caliber 2385 with a 40-hour power reserve (not the new in-house movement developed for the CODE 11.59 watches). 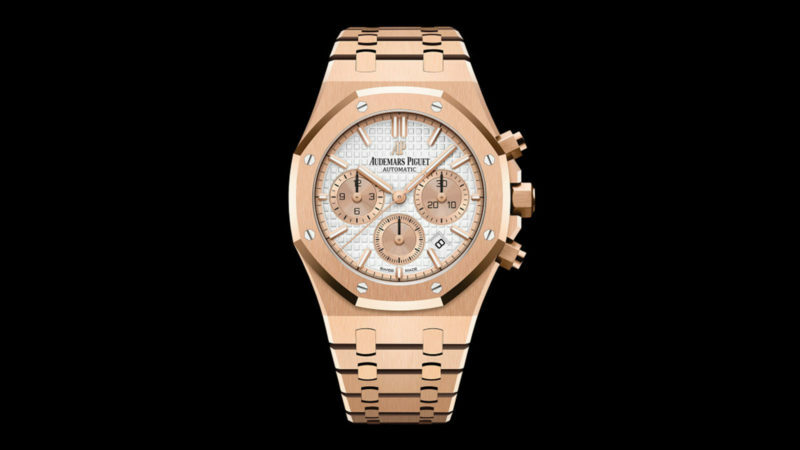 If you couldn’t get your hands on a Rolex Daytona (which is impossible to find these days), this could be an attractive alternative. 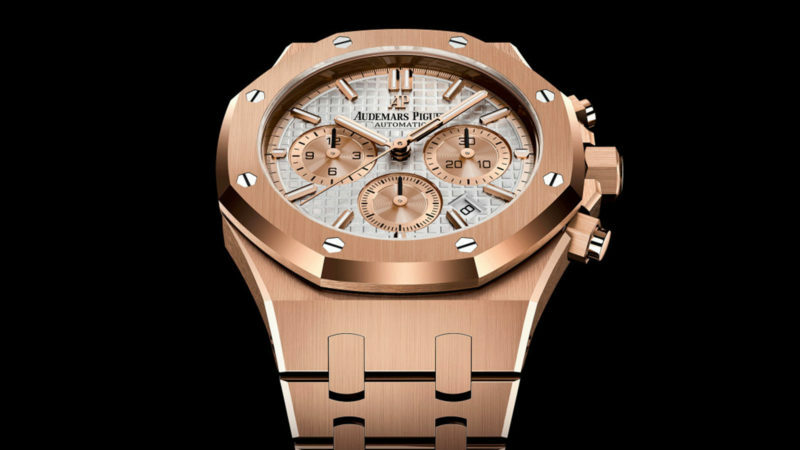 The Royal Oak Chronograph 38mm comes in stainless steel or rose gold.